I spent the last days of September 2012 & the first day of October 2012 on holidays in Adelaide, Australia. I hail from Sydney, Australia. I have being to big cities in Europe & the United States. This was a good chance to see more of Australia. It is spring time here in Australia. It was going to be warmer than the southern winter. I was proved wrong to be very winter like. I went there with my winter luggage by observing the forecasts on the internet. I stayed at the Hilton Adelaide. It was located in Victoria Square close by at a light rail stop. There is only one light rail line in Adelaide from the Adelaide Entertainment Centre to Glenelg. I did spend majority of time in the city centre. I went to Rundle Mall, Adelaide Casino, Art Gallery of South Australia & the State Library of South Australia. These are famous Adelaide landmarks. I went to the bayside suburb of Glenelg. It was too cold for a swim. I took some photos on this occasion. I am usually too shy to do so. I had a good time on my first Adelaide holiday. Sydney, Australia was where CEBIT 2012 from May 22-24. 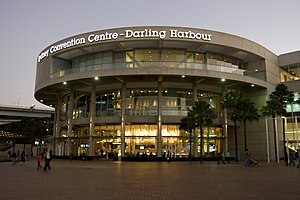 The Convention & Exhibition Centre in Darling Harbour was where the action is. Anything related to IT for sale to industry people was the intention. Organisations from across the universe selling their wares. The latest laptops, cloud servers, using social media, IT trends, PC software, smartphone apps & IT systems just to give you an idea of some topics with information provided in this expo. I did some research on courses related to IT. I asked a couple of places but were for more training for existing IT employees. I am planning to study from scratch. A shame that TAFE NSW did not have a stand. I know that Sydney University & University of Technology, Sydney had a presence there. I am not keen to go to an university. I did spend a couple of hours watching what was offered at the time I was there. I did have a good time going to quite a few Sydney CEBIT’s. 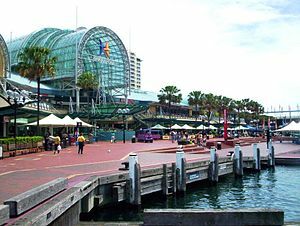 The next post on Petesmusic’s Blog is about CEBIT 2012 which is on May 22-24 at Sydney’s Darling Harbour in Australia’s largest city. Sorry for the mistake there.